Collins was dumbfounded simply because there was no good answer. Now, she is paving the way to answer that question with confidence. “I’ve been thinking about that [question] for a while now, so when I heard they were looking for names [for the new residence hall], I knew it was perfect,” Collins said. Collins, a political science junior and SGA senator for the College of Liberal Arts and Sciences, initiated a petition early last month calling for the new residence hall on Eagle Drive to be named after a woman or a person of color. The petition notes only two of the 87 main buildings on campus are named after women and none after a person of color. After posting the petition to Twitter, Collins received a slew of responses from students, most of them supportive of the cause accompanied by the hashtag #SeeYourself. 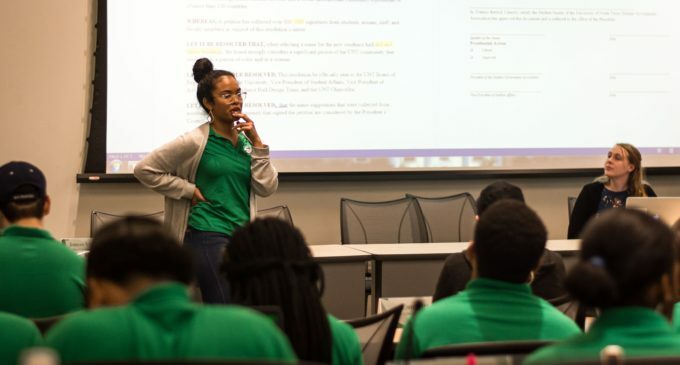 News of the petition continued to spread fast, even more so after former UNT spokesperson Nancy Kolsti responded to the petition as “a form of reverse racism” in a controversial email response. But Collins is pushing on. She says the petition is a way to shed light on an issue students feel strongly about and shouldn’t be written off as a blind demand. Despite the controversy, Collins was surprised by the amount of support and thought that was dedicated by UNT students. This resolution still needs to be signed by the SGA president and vice president of Student Affairs as well. It will then be sent to the Board of Regents and certain UNT administrators with a list of names and bios of the chosen people of color for name consideration. Collins’ influence in her time as senator has impressed fellow colleagues, who say she goes beyond her job title to enact real change. Those in support of the petition say Collins’ push for diverse representation has been a step forward for minorities across campus. Even if the new residence hall is not named accordingly to the resolution, opening up a dialogue about representation is still a good place to start for Collins. But there is still the steadfast hope that the proposal comes to fruition. Collins said she will definitely be celebrating in every way possible. 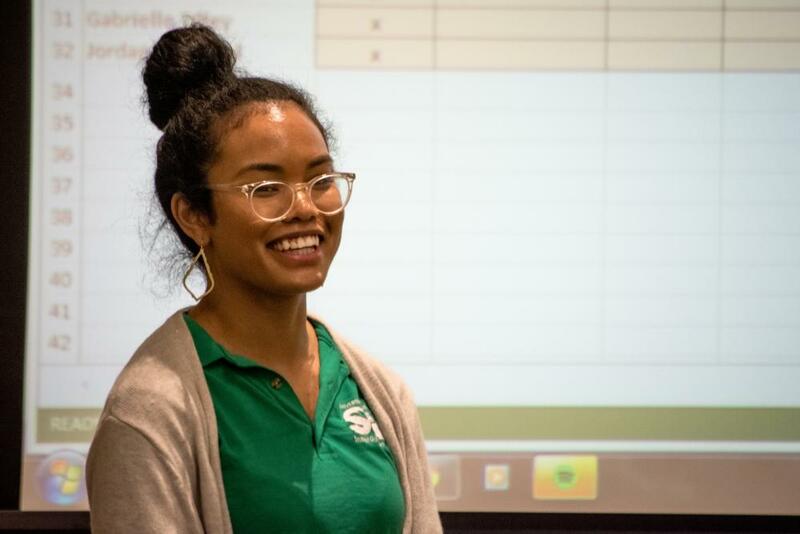 As for future plans in office, Collins is keeping quiet on her ambitions, including the possibility of running for SGA president.